Siege of Dragonspear is Beamdog’s previously teased “Adventure Y”. Baldur’s Gate: Enhanced Edition developer Beamdog was hyping up a rather mysterious game “Adventure Y” and it was finally announced what this game would be – a brand new expansion pack called Siege of Dragonspear. 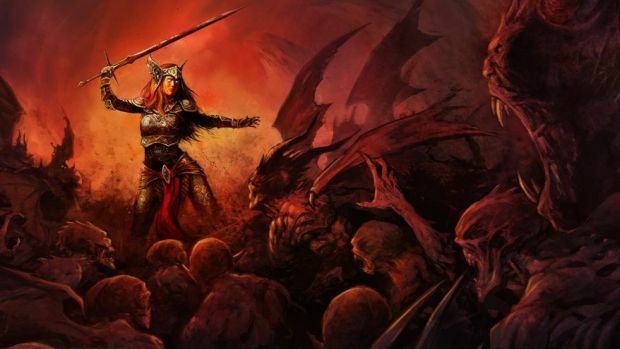 Clocking in at 25 hours with new areas, new enemies and a new class, Siege of the Dragonspear will actually serve to connect the events of Baldur’s Gate and Baldur’s Gate 2: Shaows of Amn. It will required Baldur’s Gate: Enhanced Edition to play and you can import both your created character and save files into the expansion. Even better, you can then export your saves from Dragonspear to Baldur’s Gate 2: Enhanced Edition if you’re curious to see how your warrior’s new skills would fare in the sequel. Baldur’s Gate: Siege of Dragonspear will include support for up to six players in cross-play co-op and will be available for Linux, Mac and PC by year end. It will also arrive on Android and iOS “shortly thereafter”. Check out the trailer for Dragonspear below.